Botox therapy represents a remarkably successful, now widely used, approach to treating wrinkles of the forehead, frown lines and crow’s feet without surgery and without scars. The client response is positive as these dynamic lines can be resolved and in many cases, eliminated for months at a time. Botox therapy has revolutionized many aspects of cosmetic procedures and has quickly become the first line of treatment for wrinkles. A few drops of Botox are injected with a tiny needle into the muscle, blocking the nerve impulses that cause the contractions. As the stimulation to the muscle weakens, the lines gradually soften, giving you a more refreshed, relaxed, highly natural-looking appearance. 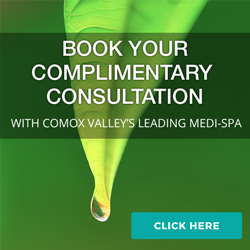 The procedure is so quick and simple that clients often have it done on their lunch hour. 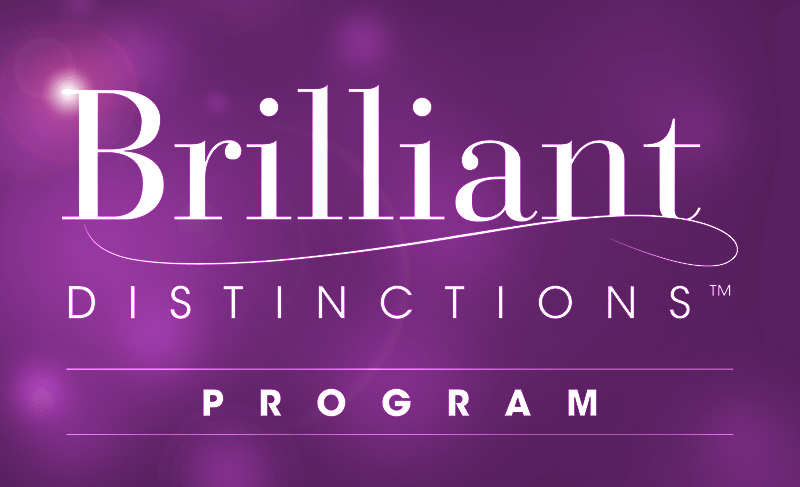 The actual treatment only takes a few minutes and the Botox takes effect in three to four days, while maximum results are achieved in 7-10 days. Gradually, over three to six months, the Botox effect will fade and the muscle action will return. When the frown line starts to reappear, a simple repeat treatment is all that is necessary to maintain the desired result. Botox is very safe. Long before it was approved for cosmetic use, Botox had established 10 years of safety data for the treatment of ophthalmic disorders. 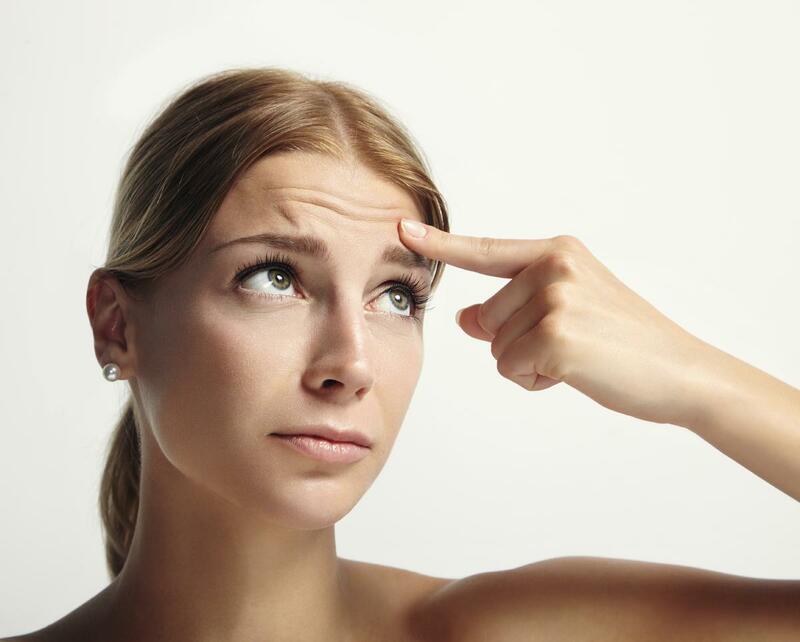 The side effects of Botox are related to the local injection of the solution. There will be a slight discomfort from the needle entering the skin, a small chance of slight bruising at the injection site and a mild short-term headache. Approximately 1-2% of clients may develop a slight lowering of the eyelid, which may not even be noticed by the client. There have been no permanent side effects from the use of Botox. Botox may not be administered during pregnancy or lactation. The treatment only relaxes the muscle at the injection site, so the other elements of facial expression remain active. It also has no effect on sensory nerves, so you will have normal feeling in the treated areas. Can Botox be used for other wrinkles? Botox is also effective in the treatment of crow’s feet and forehead wrinkles ( frown lines) and excessive sweating. 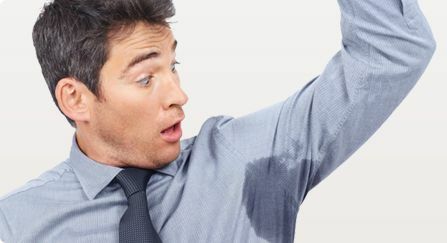 We now treat for Hyperhidrosis (Excessive sweating). This procedure takes less than half an hour and can last for up to 7 months. When we frown for any reason, we gather the tissue between our eyebrows into a fold. In some of us, this causes a chronic furrow. This produces a frustrated, discouraged, angry look on our face which can be distracting to others and a bother to ourselves. Now you can eliminate these frown lines without surgery and without scars by a simple treatment with Botox.